Earning six design awards from the American Institute of Architect’s Orange County chapter, this marks the 37th consecutive year that LPA Inc.’s projects have received AIAOC honors. I think design awards are really important because they celebrate the best of what we do and they acknowledge the collective dream of an architect and client. Bringing home multiple design honors from the 2013 American Institute of Architect’s Orange County awards program, LPA was recognized with six awards for its excellent work on four separate projects. 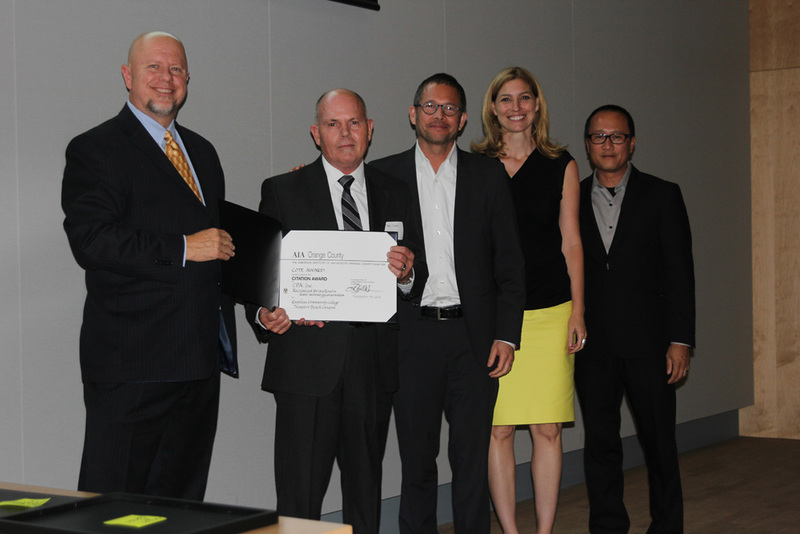 Continuing its lengthy streak, dating back to 1976, the Orange County-headquartered sustainable design firm has now received AIAOC design awards for the past 37 consecutive years. “I think design awards are really important because they celebrate the best of what we do and they acknowledge the collective dream of an architect and client,” explains LPA President Dan Heinfeld, FAIA. 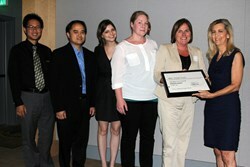 Citation Award: Riverside Community College District’s Center for Social Justice and Civil Liberties, Riverside, Calif. 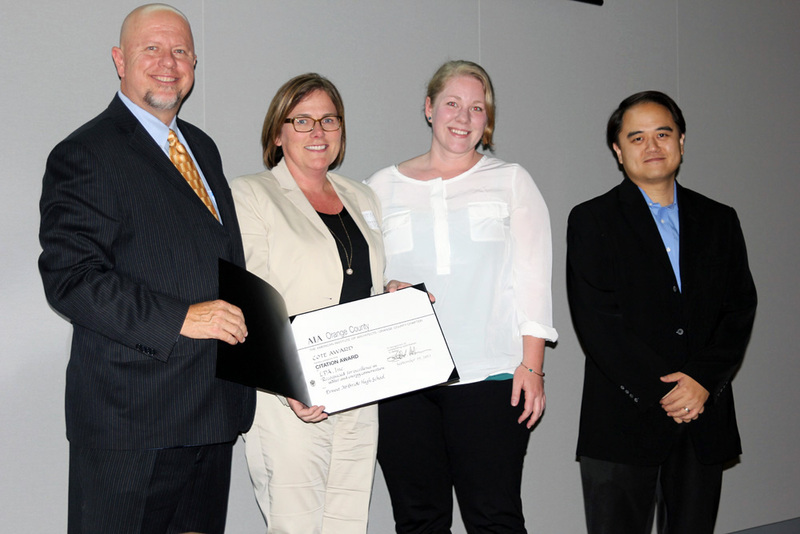 Merit Award: Coastline Community College Newport Beach Campus, Newport Beach, Calif.
COTE Award: California State University (CSUN) Student Recreation Center, Northridge, Calif.
COTE Award: Ernest S. McBride High School, Long Beach, Calif. In particular, the COTE Award recognizes projects which successfully integrate sustainable design strategies in the following categories: intent & innovation, community, site, bioclimatic design, light & air, water, energy, materials, long life and feedback. 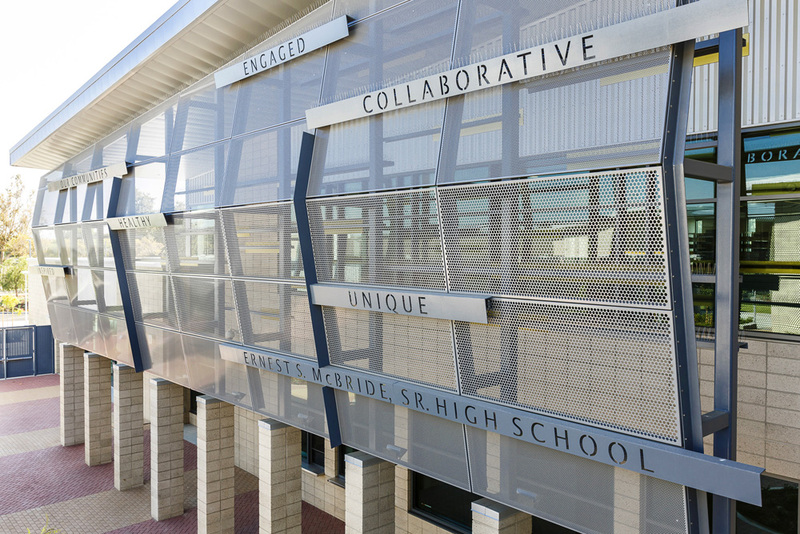 The most recently completed project on the awards list, McBride High School, is a $75.5 million state-of-the-art facility which opened its doors just last month for the new school year. The facility features 43 classrooms, state-of-the-art labs, a 375-seat lecture hall, library and outdoor learning areas. For example, McBride High beats California Title 24 2008 standards by 40 percent, exceeds the current 2030 Challenge benchmark by 75 percent and has qualified to be a Collaborative for High Performance Schools Verified project. 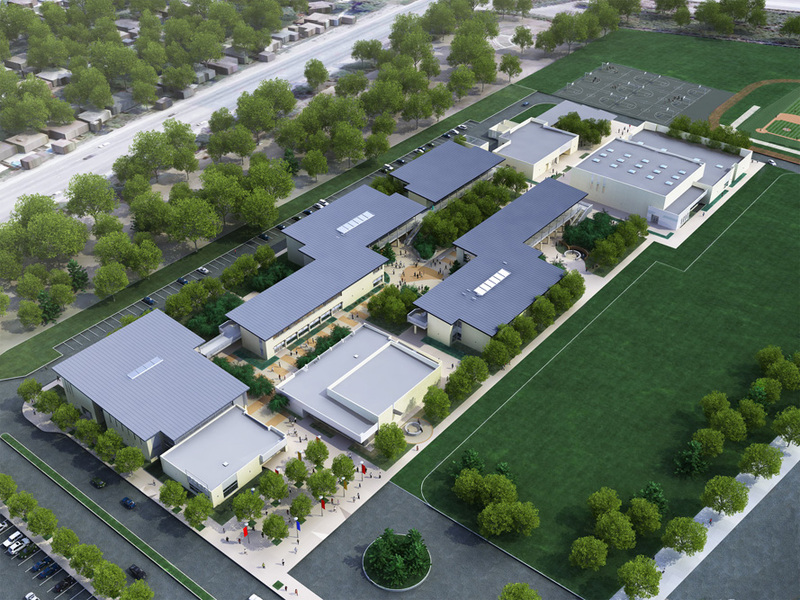 In addition, a 277-kiloWatt, rooftop grid-tied photovoltaic (PV) system is projected to meet up to 60 percent of the site’s estimated energy needs, and a high-efficiency water-cooled central plant is tied into an Energy Management System, which also integrates operable windows with HVAC systems in all classrooms. Furthermore, stormwater is redirected toward the playfields to relieve the burden on the municipal storm drain system. In order to deliver such a highly sustainable project, LPA’s architects and engineers collaborated closely together with an integrated approach. For example, orienting each roof to the south for the benefit of both the PV array and stormwater system came as a result of the firm’s civil and structural engineers working closely together, according to LPA Design Principal Wendy Rogers, AIA, LEED AP BD+C. In a similar vein, LPA’s mechanical engineers and interior designers combined forces to design the central plant, operable windows and acoustics to create a high-quality, comfortable learning environment. “Both the COTE and SBD programs place a priority on performance and responsiveness to the environment and our holistic approach demonstrates that the composition of simple design features creates powerful sustainable architecture,” says Rogers. 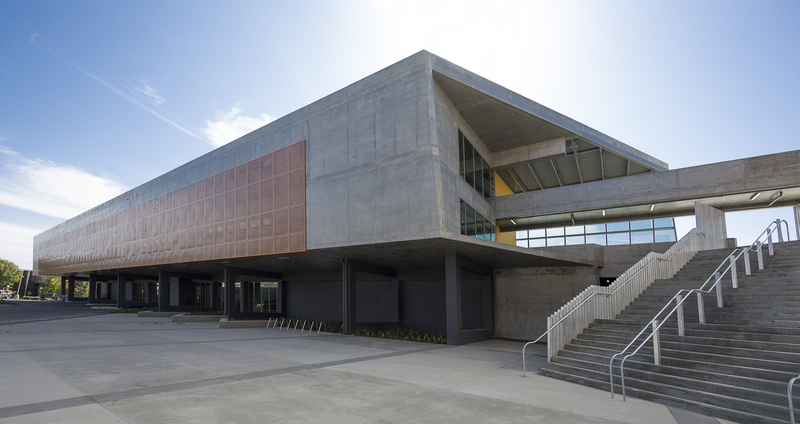 Receiving both a COTE and Merit Award, the LEED Gold designed Coastline Community College’s Newport Beach Campus features stormwater management, natural ventilation, green roofs, living walls, maximized daylight and ocean views. A single-duct system draws in 100 percent outdoor air while highly-efficient fans move the ocean-cooled air around the building. This, combined with the concrete structure’s thermal mass, keeps the need for electrical cooling at a minimum. Also honored with a COTE award, the 120,000-square-foot CSUN Student Recreation Center was designed with displacement ventilation systems, photovoltaics, solar control fins and screens, low-flow plumbing fixtures, rainwater harvesting, recycled and low-emitting materials and native landscaping. In addition, 90 percent of the usable space is illuminated by natural light. The Center was recently honored with 2013 AIA Committee of Architecture for Education (CAE) Educational Facility Design Awards for its design. 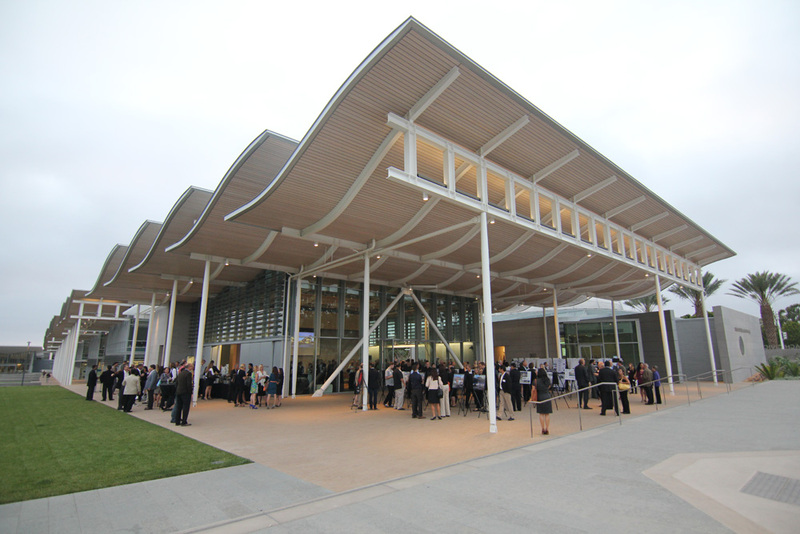 While the award-winning Riverside Community College District’s Center for Social Justice and Civil Liberties also incorporates a number of integrated sustainable design strategies perhaps more intriguing is the fact that the Center was actually a historic building with an ornately carved exterior. However, a brick and steel façade, installed back in the 1960s, had been masking the architectural landmark’s beauty for the past 50 years. Once the original façade was restored, LPA utilized concrete, wood and plaster, in addition to exposing the building’s original structural bowstring trusses, to create an exhibit space for the Center.